(Schererville, IN) – (March 2018) – McColly Real Estate attended the Leading Real Estate Companies of the World® Annual Conference, held January 31-February 2 at Wynn Las Vegas.  The conference was part of the Leading Real Estate Companies of the World® (LeadingRE) Conference Week, a series of educational and networking events that attracted an elite audience of nearly 3,000 real estate professionals from 24 countries. The conference was open only to brokers, managers and relocation professionals affiliated with LeadingRE, an invitation-only network of the highest quality independent real estate companies. Attendees explored how to leverage the trends driving the real estate market, including the economic landscape, home technology and design, and consumer preferences. McColly Real Estate’s local reputation and expertise are backed by its selection as a member of Leading Real Estate Companies of the World®, a global community of over 550 real estate companies awarded membership based on rigorous standards for service and performance. This distinction ensures that McColly Real Estate clients are working with exceptional local professionals who also deliver connections to buyers and quality real estate companies across the country and around the world. Our strength in Northwest Indiana and the Chicago Southland is mirrored by our fellow Leading Real Estate Companies of the World® members. From London to Beijing to Johannesburg and beyond, McColly Real Estate is proud to work with the very best companies across the globe. Every five minutes a quality client introduction is made within Leading Real Estate companies of the World®.